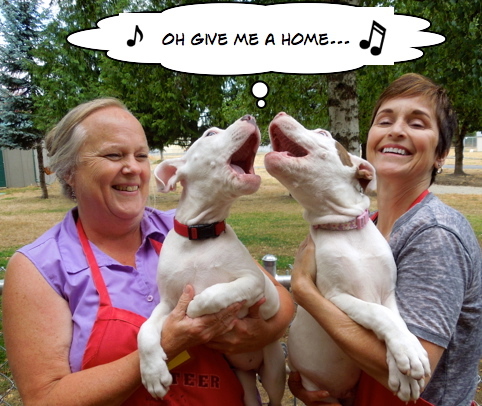 After spending a week on Whidbey Island (a beautiful, relaxing place), I have a lot of happy adoptions to report since my last post. 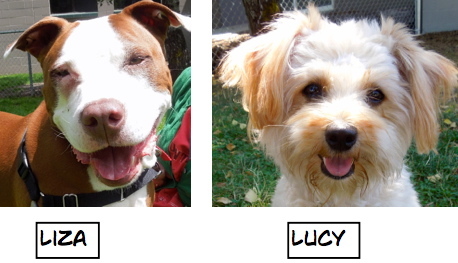 Here are the Blog Dogs who now are reveling in their new families. I had a lot of pictures of new arrivals to take on Sunday and as usual, volunteer Sarah was a huge help as were several of the regular Sunday walkers. 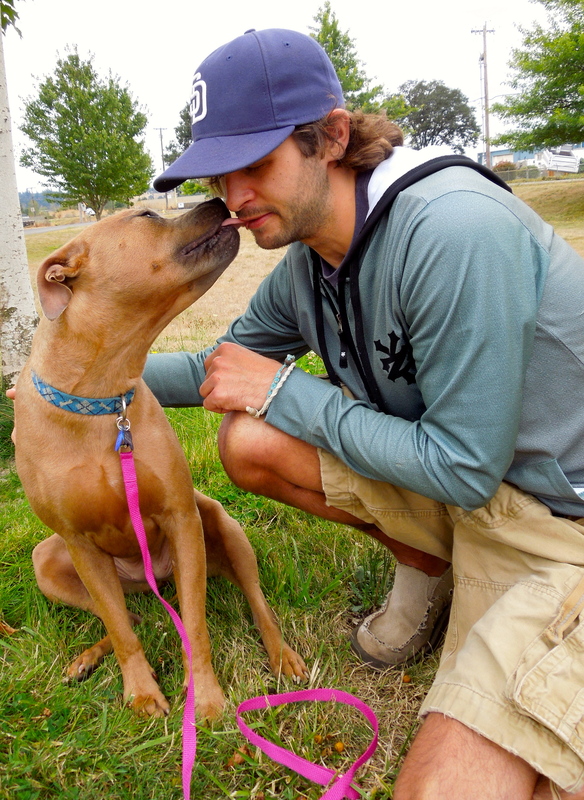 It was during the photo sessions that I found out sweet Cali was being adopted and about to go home. 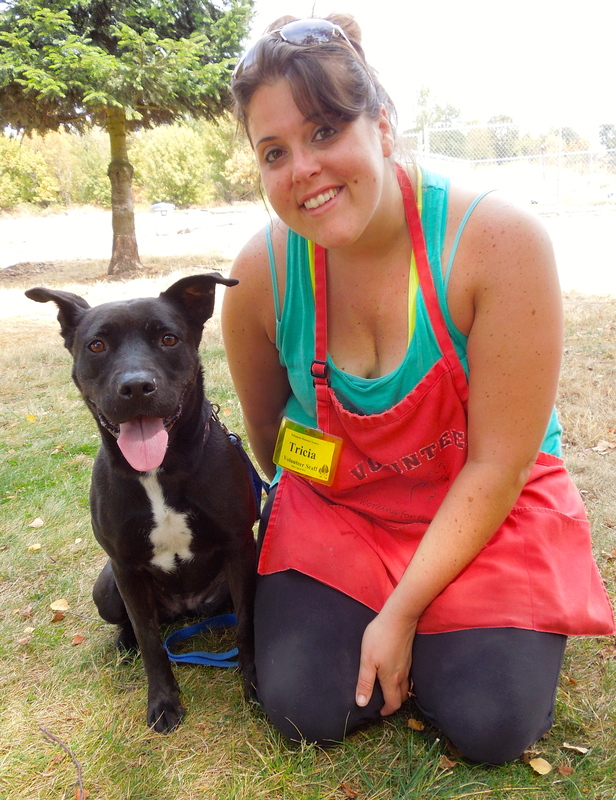 It turns out that her adopter is a new volunteer who fell in love with Cali the moment he met her. Cali had a dog meet with her new sibling (also a WHS alumna) which went very well, so Cali is now happily living on a farm. 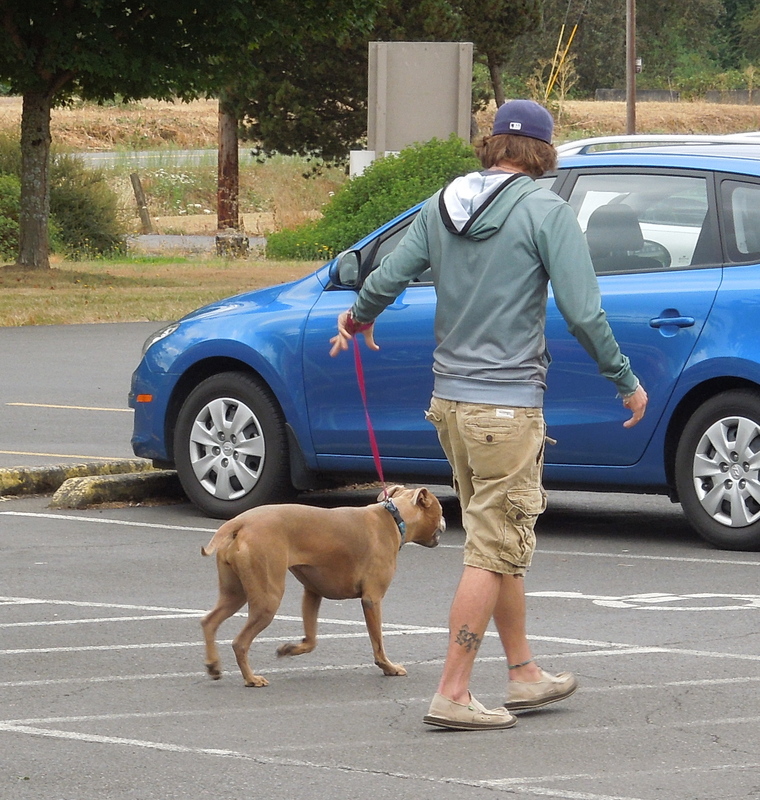 Here they were leaving WHS on Sunday afternoon. 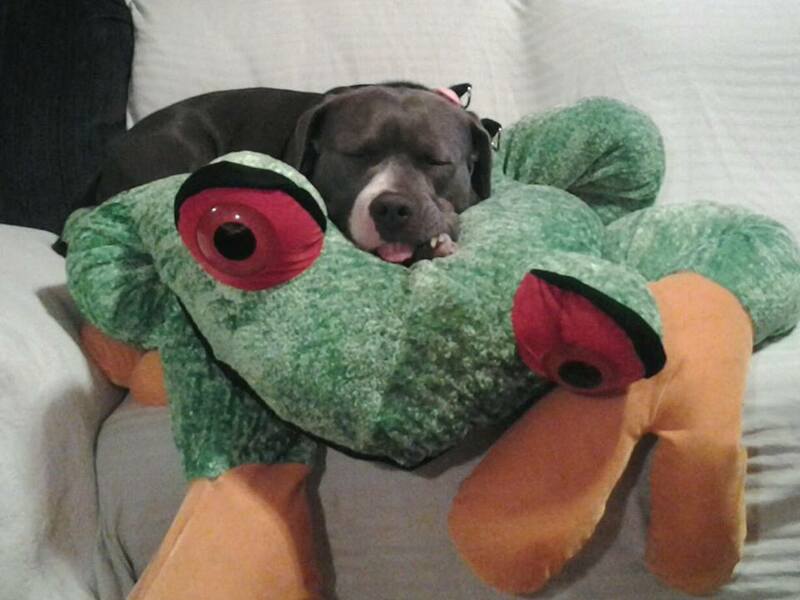 I think Cali knew she was starting a wonderful new life! Do I look like a lamb to you? 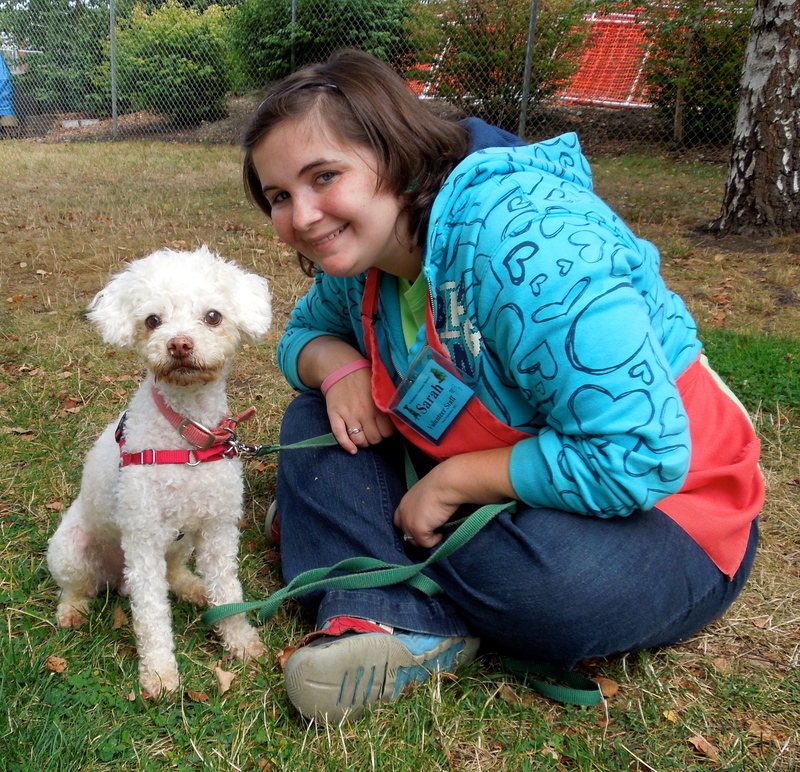 One of the new dogs is this little sweetheart, Chauncey, a six-year-old Toy Poodle mix. Look at that face! He is a gentle little man looking for a calm and quiet home where he will feel secure. Sarah and I both fell in love with the little fellow. Looking for a lap dog? Look no more! I’m it! 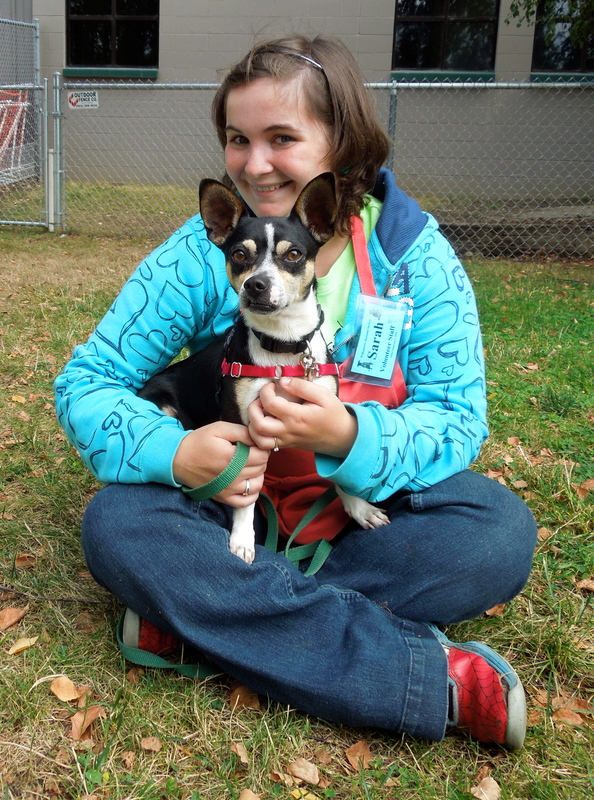 This is Nike, a one-year-old Chihuahua mix who is happiest when he’s in your lap, as Sarah quickly found out. 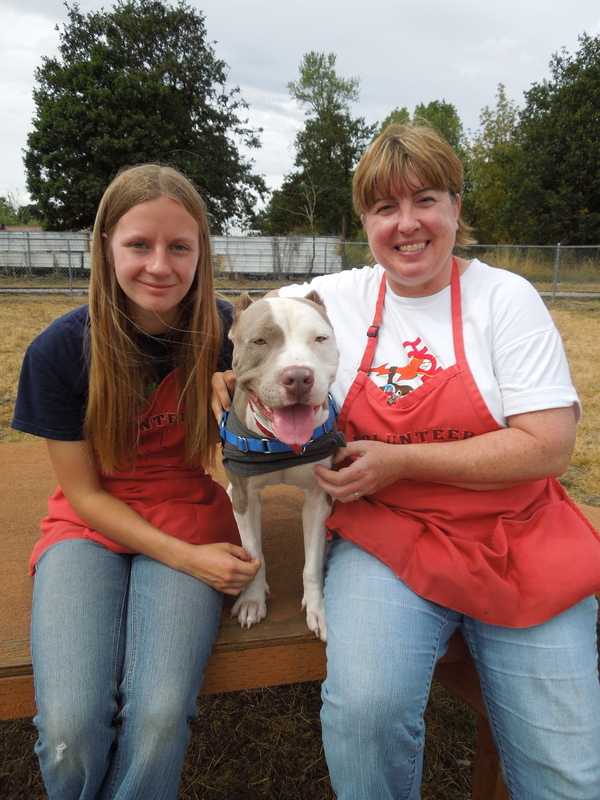 He is also very food-motivated, so will be easy to train and would love to attend some of our WHS classes. He walks well on leash, but much prefers to sit in your lap! He is such an affectionate little guy! I’m from California and I’m looking for an Oregon family to call my own! 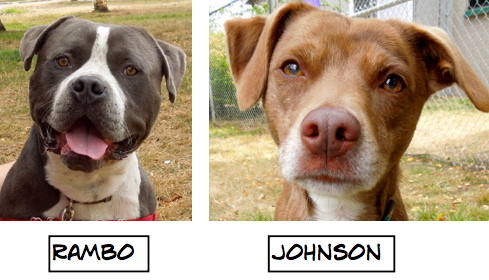 When I arrived at the shelter today, I knew which dog I wanted to spend time with first. Faye is a two-year-old Pit Bull Terrier mix. She is a S.T.A.R.T. 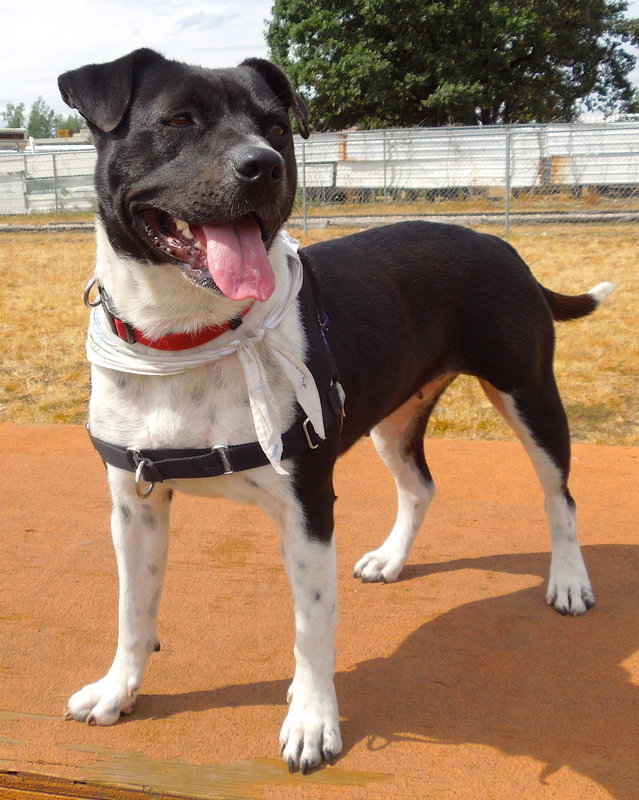 rescued dog who loves people but can be a handful with her youthful exuberance. However, when I glanced out to a yard on my way into the building, I saw that Debbie and Faye were already having a great time playing fetch. 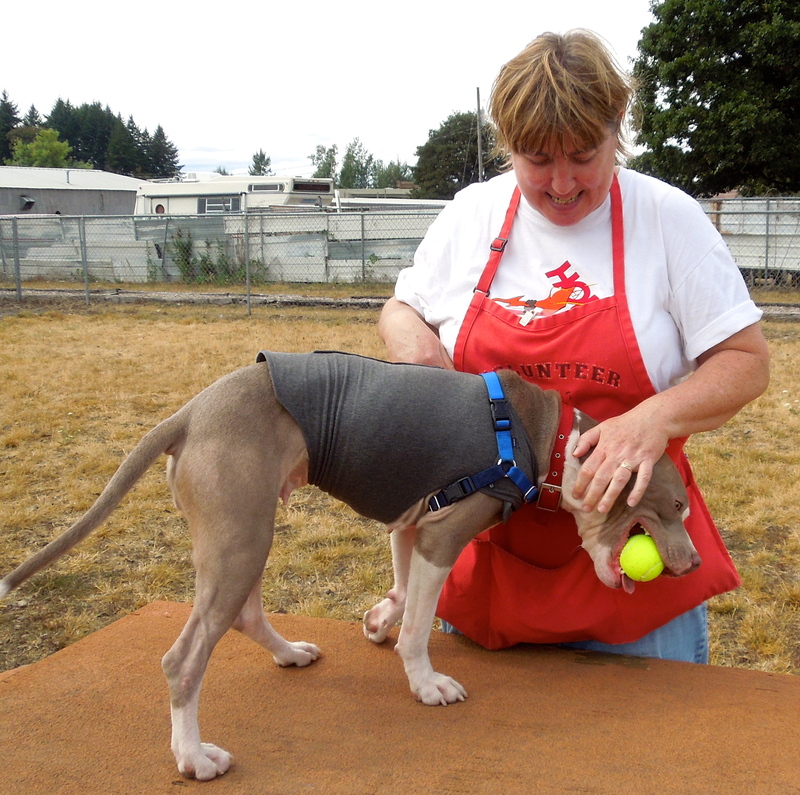 Faye will need a family willing to work with her on impulse control and improving her manners when she’s excited. 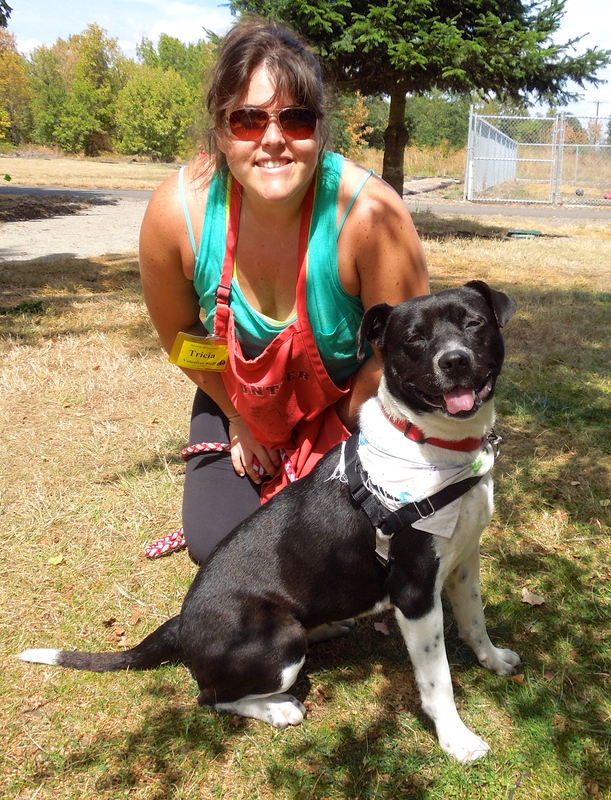 To help with that, her adoption package includes a WHS training class called “Check In and Chill Out.” Faye had a great time in play group on Sunday. There will be more on this happy girl later in this post. I’m a puppy and I’m looking for a fun family! If you’ve got the energy needed to raise a puppy, little Gatsby might be a perfect fit. 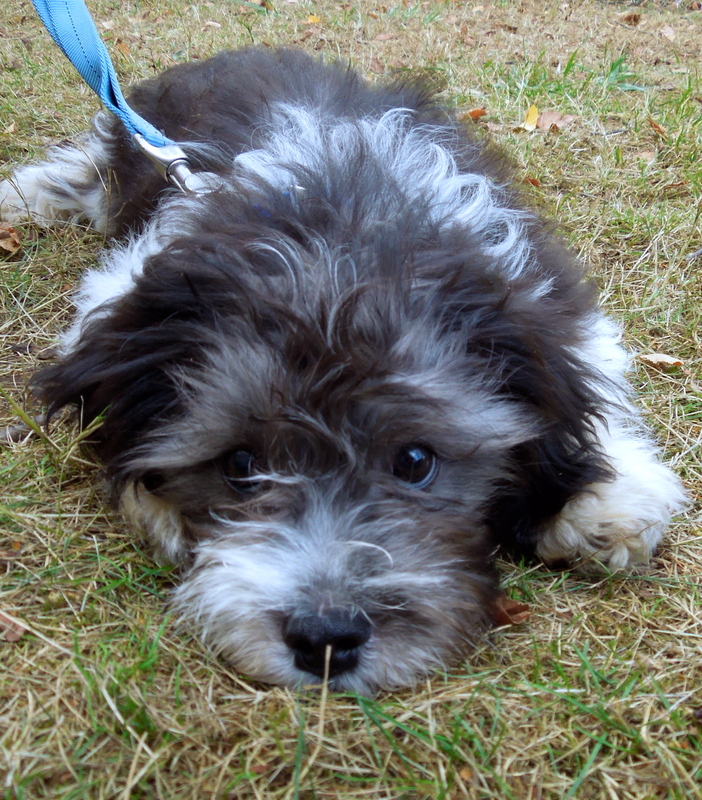 He is a four-month-old Maltese/Poodle mix who has no doubt that life is exciting and he is the star. Trying to get him to stay still for a mere second for a picture snap was almost impossible! 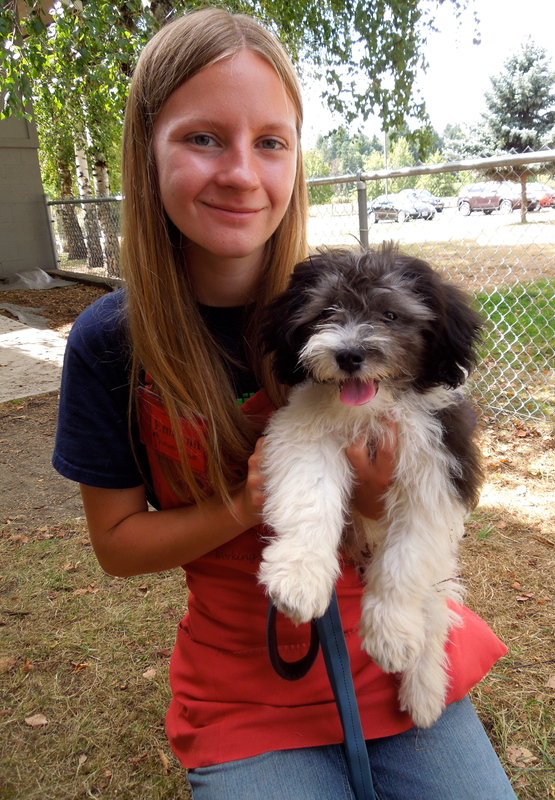 Gatsby’s adoption package includes a puppy class called “Surviving Puppyhood.” Here he is with Emelynn this afternoon. What a delightful little character he is! Later in the shift, I saw that Kathy had him out again. I have a feeling Gatsby won’t be around the shelter for long! 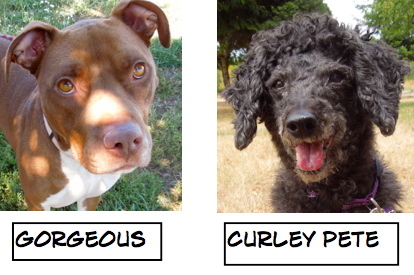 Looking for a more mature dog who is well past the annoying puppy stage? That would be ME! 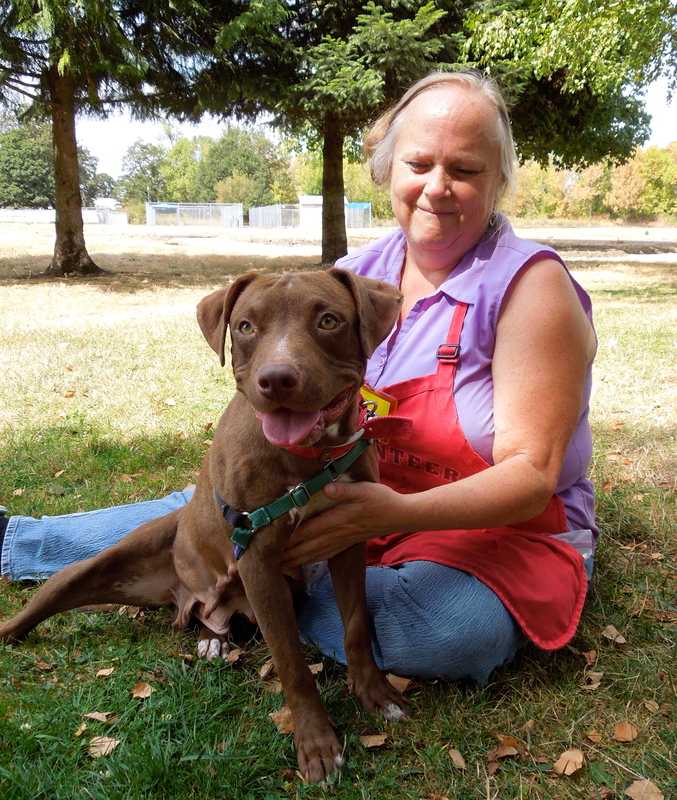 Tricia spent some quality time with new arrival Juliet, a four-year-old Retriever mix, and couldn’t say enough nice things about this sweet girl. 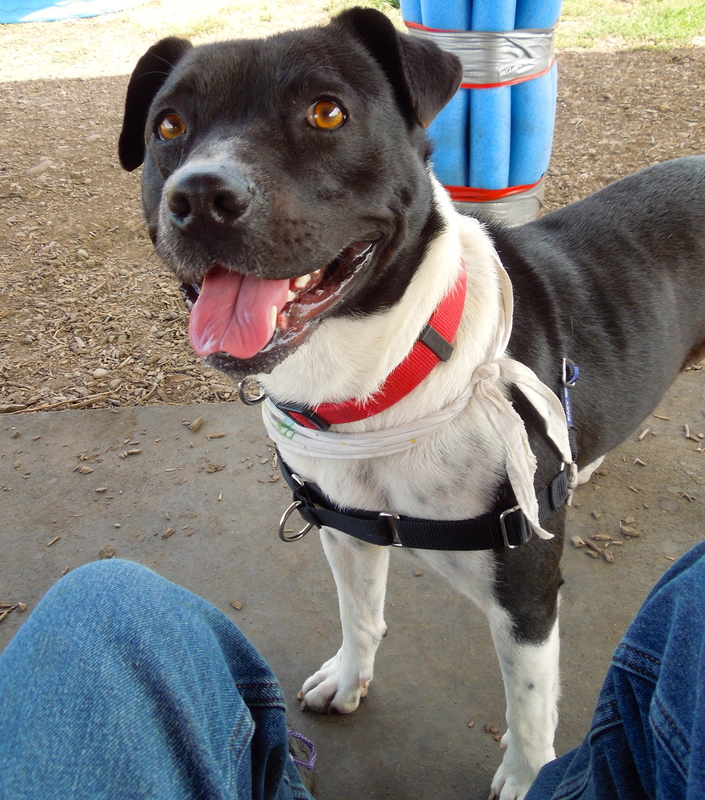 Juliet walks very nicely on leash, took my hot dog bits politely, and is affectionate. She sits, lies down, and comes on command. 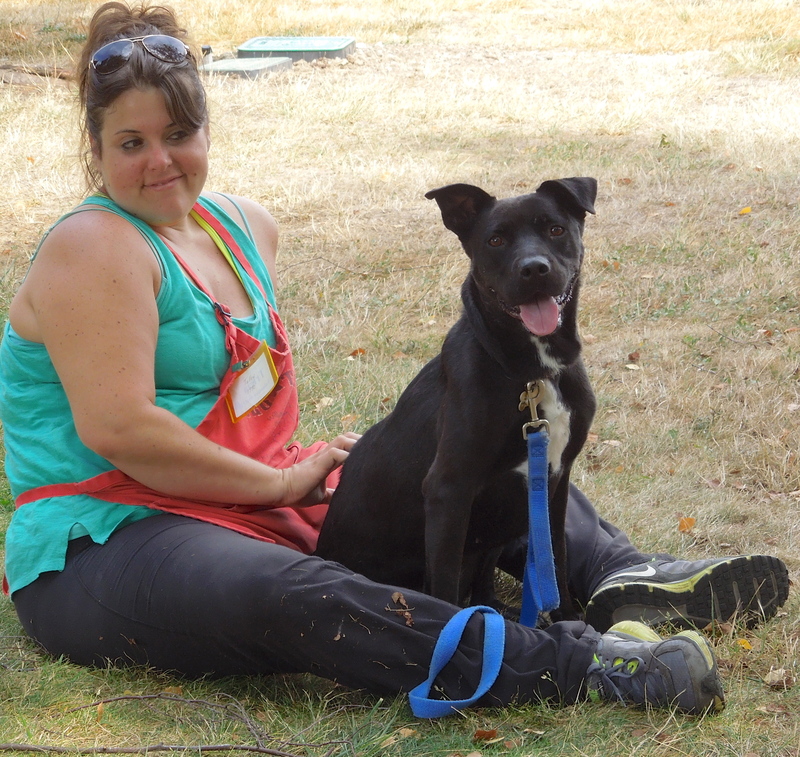 While she is playful, she also enjoys sitting in the grass and relaxing with a person. She will make a wonderful family dog. 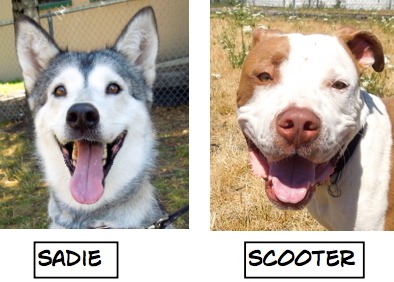 I usually don’t feature puppies on my blog, as they get adopted quickly. However, I couldn’t pass up this duo when I saw Joan and Angie out with them. 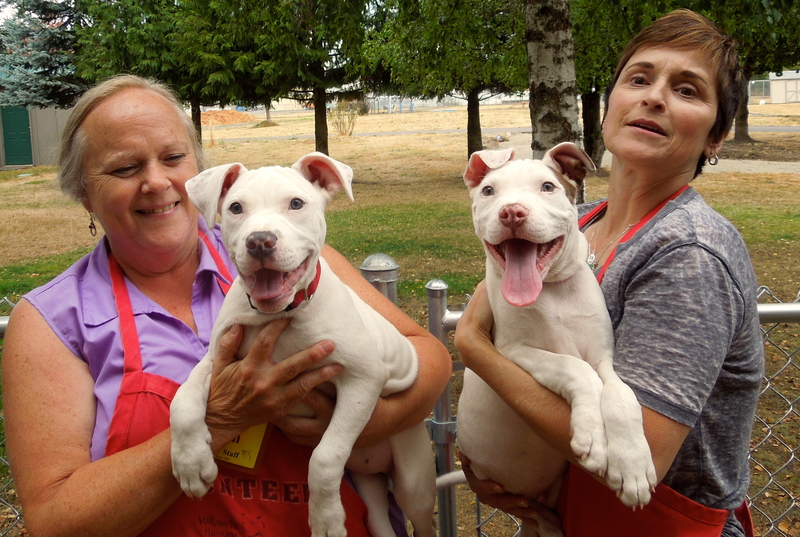 Meet Bayonet and Beluga, both three-month-old Pit Bull Terriers. And they are ALL puppy from their ears to their tails, tumbling over each other and racing around the little yard chasing every moving leaf. I dare anyone to not smile when they watch puppies at play! 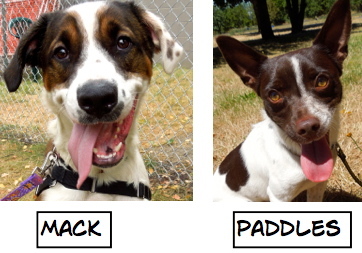 Each of these little guys comes with the complete puppy adoption package including the “Surviving Puppyhood” class. I’ve been here at the shelter a while and I’m hoping for my new family soon! I don’t understand why Jersey has not been adopted yet. 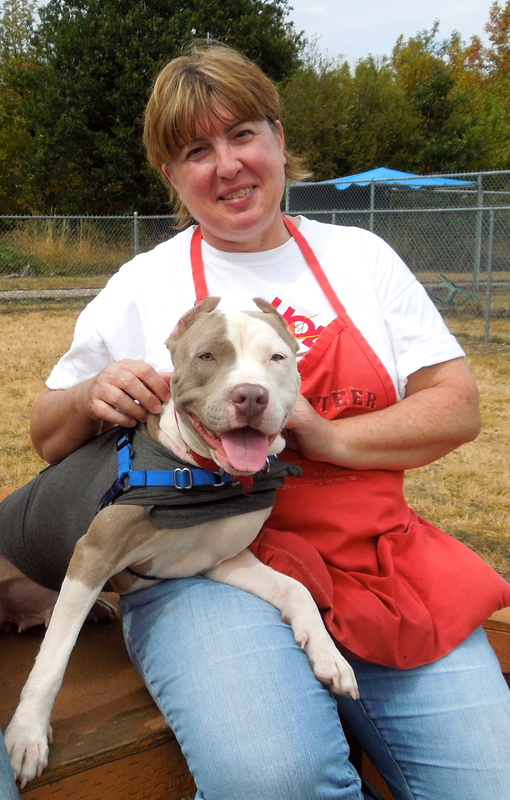 She is a three-year-old Pit Bull Terrier mix who has been waiting for a new home since July 26th. 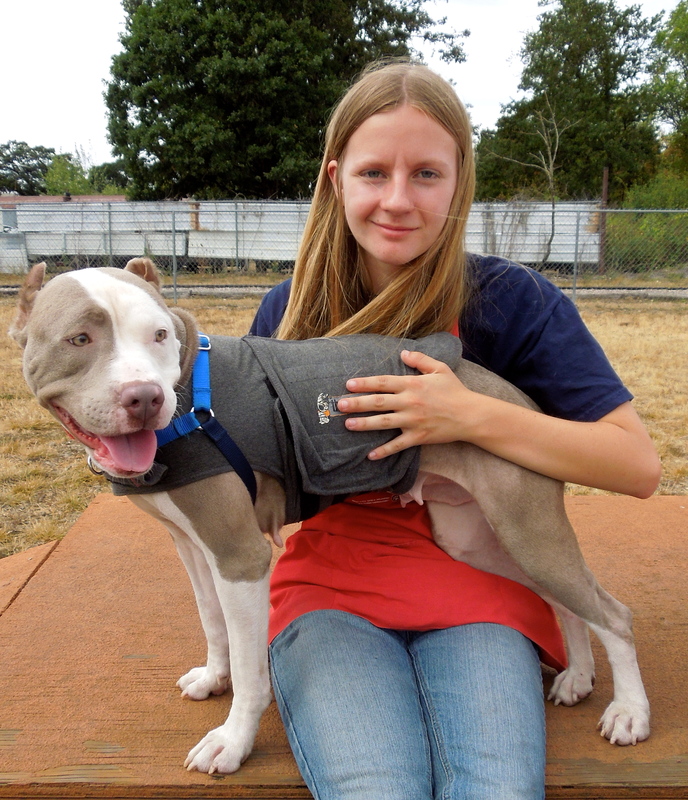 Today Tricia posed with her for a picture, then I took Jersey out to the big yard to get to know her a little better. I was very impressed with how well she walked on leash, how nicely she took treats, and how well she minded. We enjoyed our time together and she didn’t mind posing at all for my camera! Looking for a smaller dog with a cute face? Look no more! 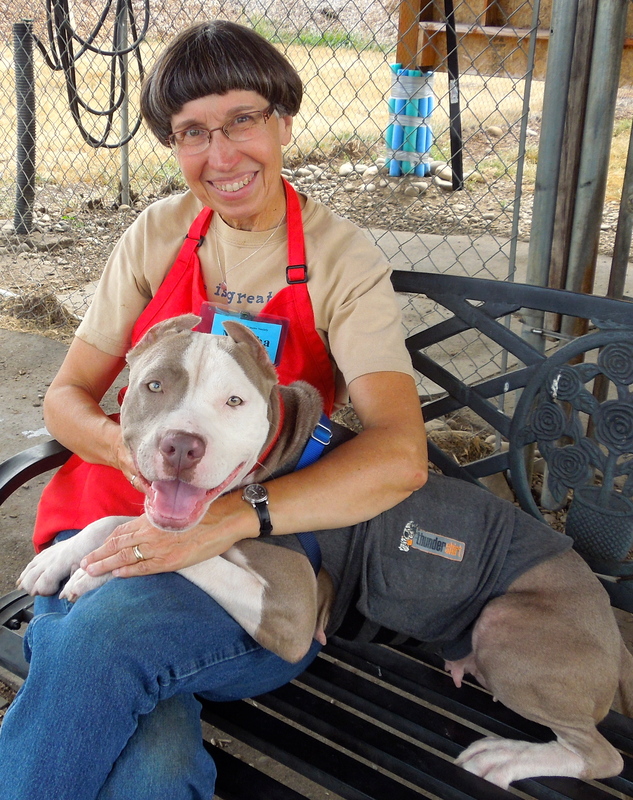 Coco is a one-year-old Pit Bull Terrier mix who enjoyed time with Joan this afternoon. 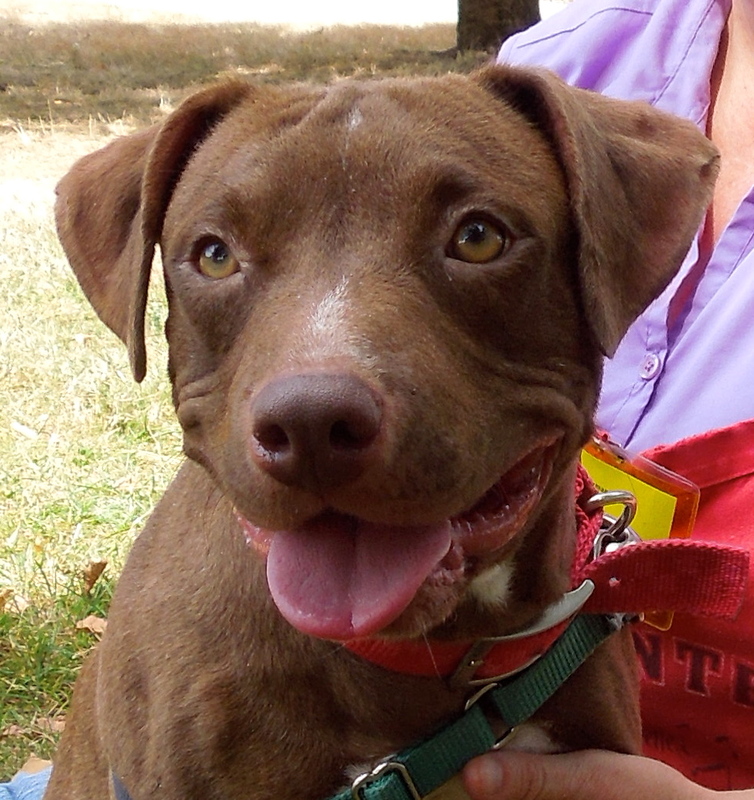 Coco is a gentle, affectionate girl who enjoys playing, but also sitting under a tree, as she did today. She is calm and polite once she has used up some energy. She is hoping that her new family will find her soon. I’m going home soon! With Angie! 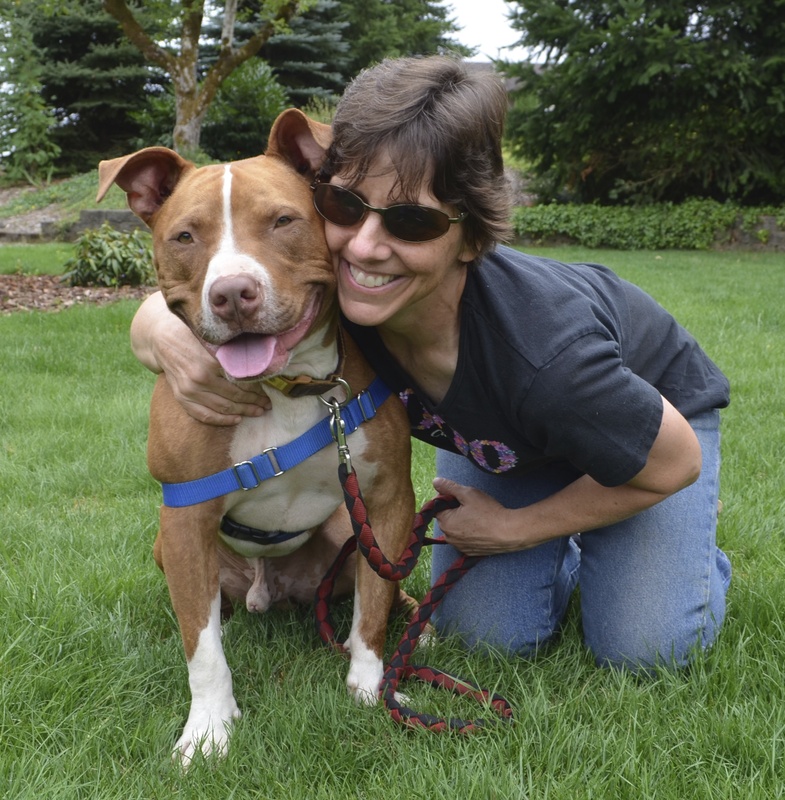 Angie joined our Wednesday Walking Team recently and it didn’t take her long to fall in love with a shelter dog! 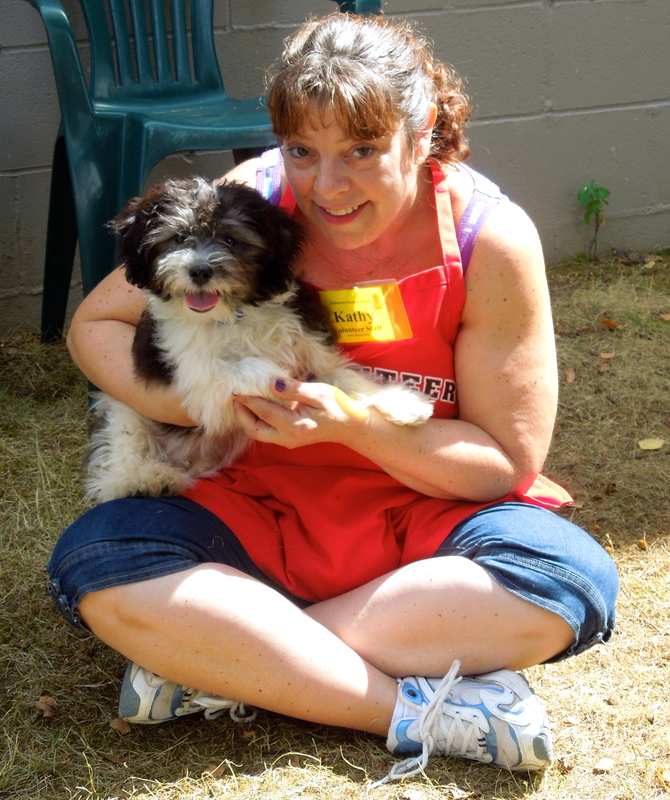 Here she is today with Misty, a one-year-old Miniature Schnauzer/Lhasa Apso mix. 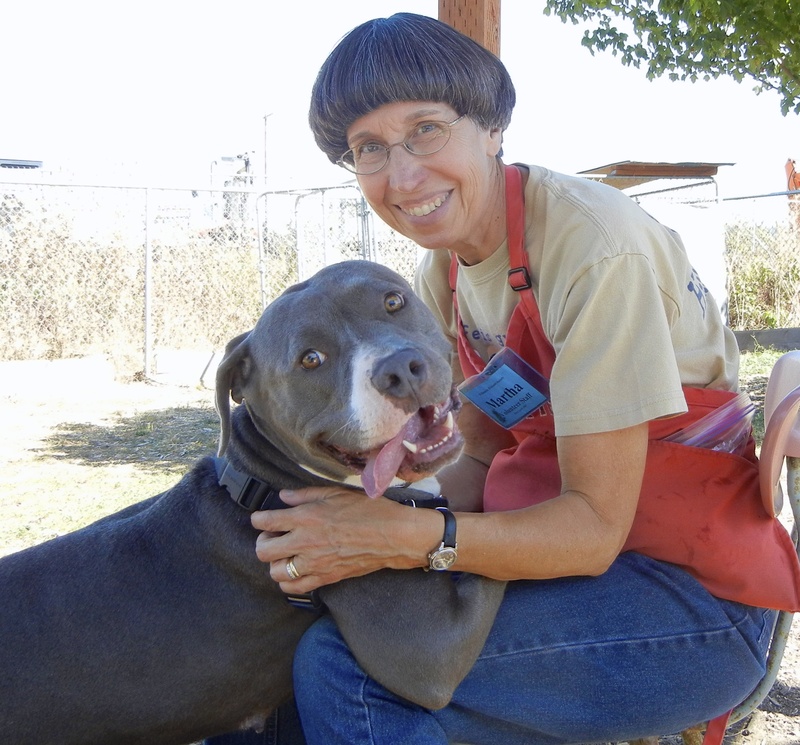 It was love at first sight and Misty will be going home with Angie on Saturday after she is spayed. It didn’t take Emelynn long to tell me who she wanted to be her Pick of the Week (again). She chose Pony. 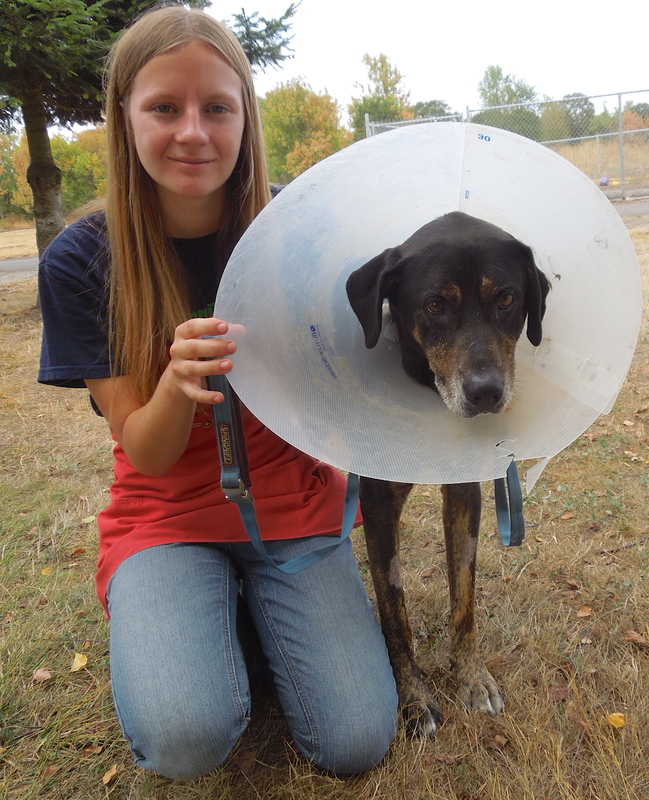 Pony is a seven-year-old Hound Pointer mix who has been at the shelter since June. However, Pony’s stay at WHS is nearing the end. He has a hold and will be going home soon. I’ll have more information on this wonderful adoption next week! The poor boy had some dental work and a little surgery, so is having to wear a cone which he isn’t happy about. 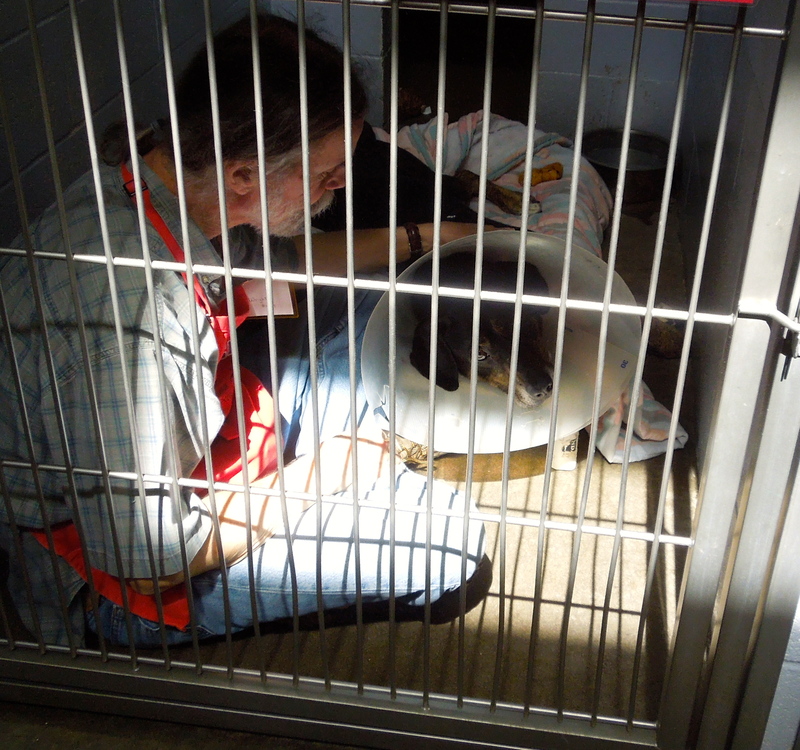 Steve has become very fond of Pony in the time he’s been there and today I found them together in Pony’s kennel. 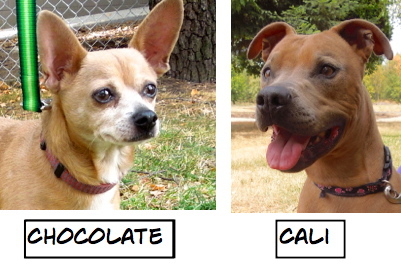 Yep, I’m still adoptable…still waiting for you. Hi, my name is Gilbert. 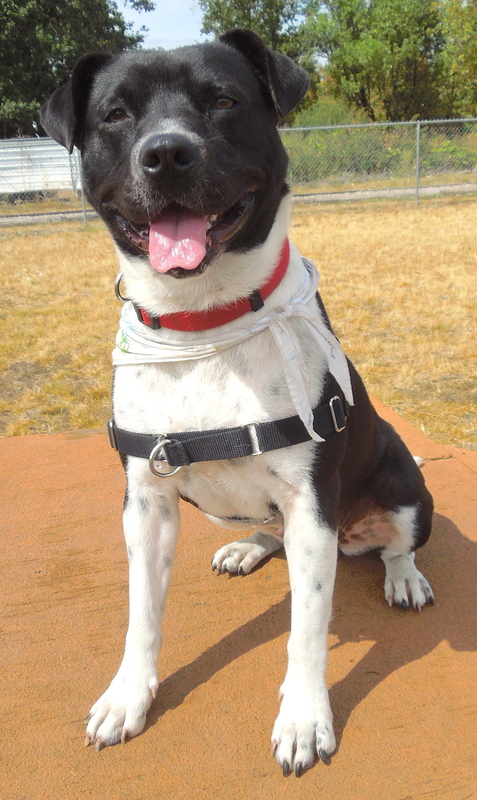 I am a 2 1/2 year old Pit/Terrier mix. I have been with Willamette Humane Society for a couple of months, but I’m staying with my foster family and their dogs for a while. I like spending time with my dog friends running, napping and playing in the back yard with my rope, tennis ball and chew toys. My friends (human and dogs) have told me that I am energetic, happy, healthy, strong, silly, humorous, and full of life. I love to go for walks and meet new people. I love to be petted, given attention and snuggle. I also ride well in a car. I am crate trained and house trained. I have learned to walk nicely on leash. I know the words: sit, stay, come, down, my name, leave it, wait and in (to go into my crate at bedtime). I live with three big dogs, have met small dogs and puppies and I like playing with them all. 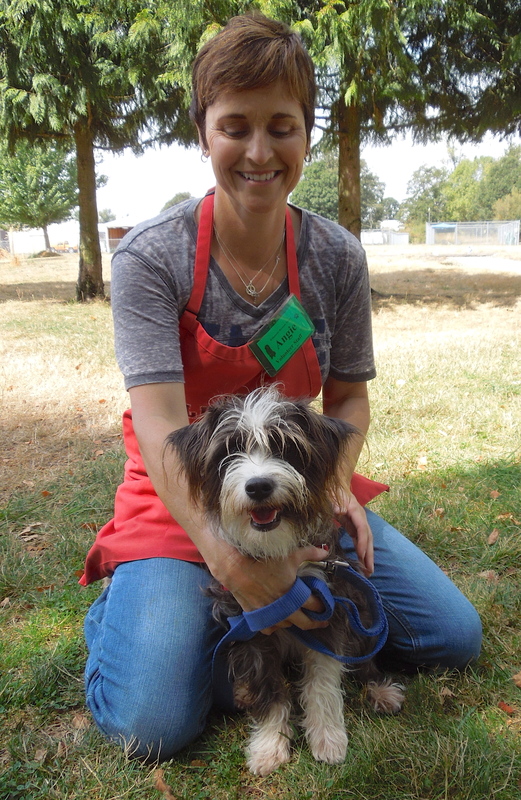 I have a strong and outgoing personality, and so my first introduction to new dogs is a bold one. But given a few minutes to get to know each other, I love to play and roughhouse with new friends. I would love for you to come and visit with me and see what all I can do. You can meet me by making an appointment for my foster mom to bring me to WHS, or you can meet me at my foster home, where you can see how well I do in a home setting! You can see more pictures of me and even a movie (I’m the star!) in the August 14th post. I can’t wait to have a real family of my own! My last dog was also the first. Debbie, Emelynn, and I took Faye out again at the end of our shift. She really is a lap dog once she has expended her energy! 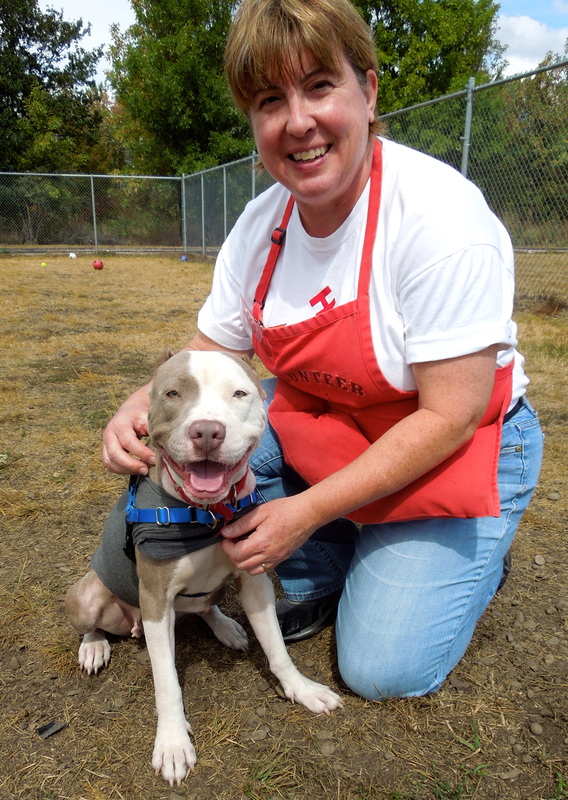 We’re hoping that the right person will fall in love with this loving girl soon! 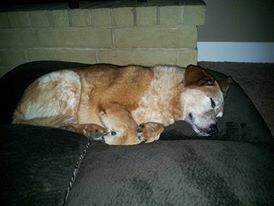 Every so often I hear from a person who adopted a dog from WHS before my time there. I got such a note last week and wanted to share it with my readers. It touched my heart. For long-time readers of my blog, you will remember big-headed Galaxy. Here we were when she was at the shelter. Great to “see” you and your doggies, Mart! I Love your wonderful and funny pictures. I Hope Gilbert finds his forever home soon. He is such a great dog.